Microsoft Dynamics CRM is designed to serve a wide variety of organizations and businesses. We have implemented Microsoft Dynamics solutions from the basic model to a complex architecture featuring automation, dashboards, system integration and custom development. 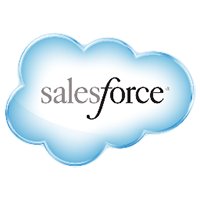 ASAL Technologies is a certified partner for CRM Salesforce. We work with our clients to provide customization to Salesforce solution. ASAL provides the possibility of having all your data in one place. Making finding important data, running reports, and viewing metrics much faster and easier. We have the expertise to provide your organization with a complete solution. From business consulting, implementation, business application integration, operation and maintenance, our experience, in-depth knowledge of business processes and SAP product functionality give ASAL has a unique value proposition in the SAP segment.